Ten21 recording studio is the perfect country get away for anyone looking for a change from recording in "The Smoke". The recording studio is close to London, less than an hour by car or train. Bearsted is on the main Ashford International to Victoria line. Bearsted station is situated next to the village green (click on the images for larger view of the green) and is only a mile and from the recording studio. Road links to Bearsted are excellent as Maidstone is circumnavigated by the M20 motorway. The recording studio is only a mile and half from junction 8. See our Map page for more details. The Channel Tunnel is only 30 minutes drive away, so Ten21 is a strong contender for any of our European friends looking for suitable recording studios in the UK. 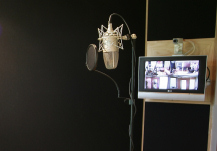 The recording studio is housed on the first floor of a large coach house style garage block. Ample parking is available so there's no hunting for car park spaces or worrying about traffic wardens. Just park up and unload. Yes that's right, that's free parking. In spite of the close proximity of the road links, the beautiful studio surroundings and majestic views are more akin to those enjoyed in the weald of Kent. This juxtaposition with the hubbub of the motorway is epitomized by the historic castle in the neighbouring village of Leeds. 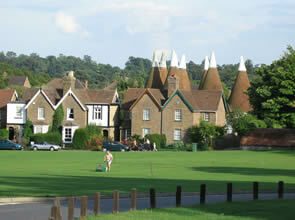 As you travel along the A20 towards "Bearsted" you will pass the "Tudor Park Hotel" on the left hand side. Otham Lane is the first left turning approximately 400 yards past the Hotel. Beware! There are NO houses on the right hand side for the first 400 Yards. 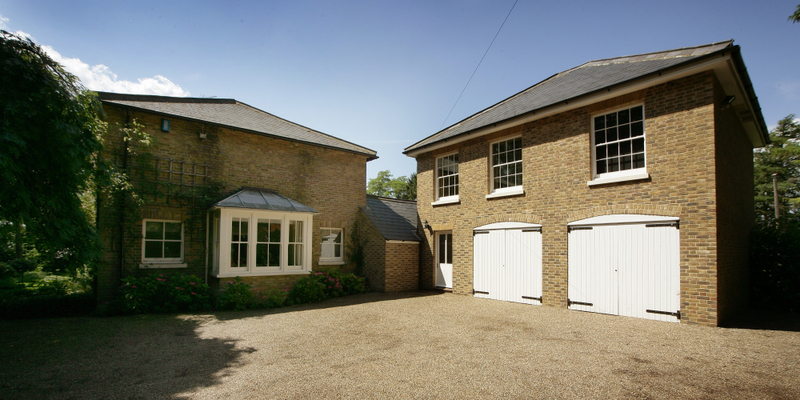 The address is "Little Milgate" and it is the 3rd house on the right hand side as you go down Otham Lane.